Bringing glory to Earth's small and neglected creatures. If you enjoy reading this blog, please consider making a donation. I would devote all my time to natural history writing and photography if I could! 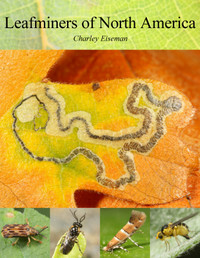 You can make a one-time donation using the yellow button above, or click the “Become a Patron” button to learn how you can support my work on a monthly basis, which gets you (among other things) monthly installments of my new leafminer book. 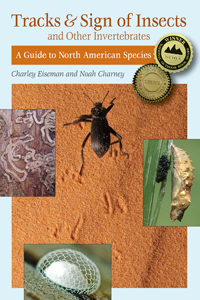 To see other options for getting the book, click the image of its cover below. To order either of my books, click on the images of their covers above. Do you know your plants? For my Leafminers of North America project, I periodically need help identifying hostplants I find in my travels. As of February 2019, I am posting photos of these to iNaturalist. My older ones are on Flickr–the most recent of those are displayed below, and you can see all of them organized by state here. Thanks!